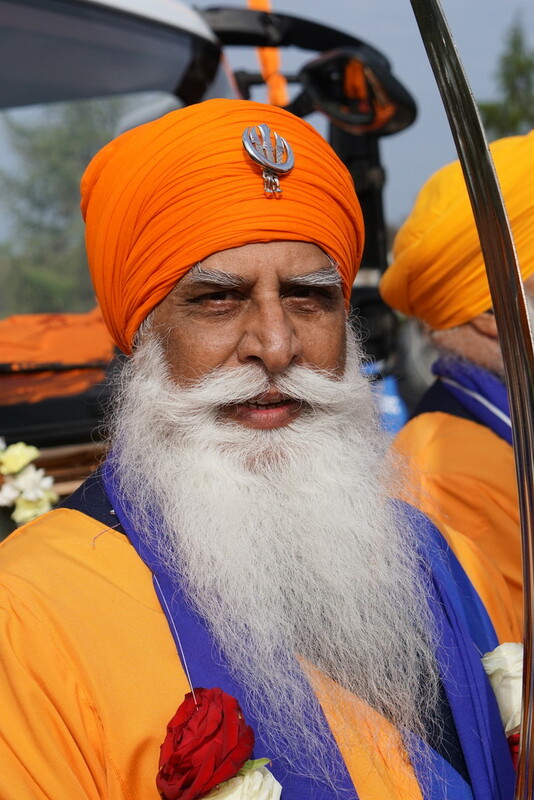 We went to the Vaisakhi Celebrations and Nagar Kirtan Procession in Nottingham today. A great event to photograph with a real feel good factor of inclusion and diversity in the great city of Nottingham. Wow this is a wonderful portrait, who woukdthink you took it on the streets of Nottingham? A beautiful turban & a very striking face. Fab portrait, love the vibrant colours and the gentleman's splendid beard. This is so vibrant, not just the colors but the intensity of his gaze. What a fabulous portrait Phil. Is he not one of your 100 strangers? Fav. Amazing portrait shot and colours. I would have expected a shot like this to be among the 100 Strangers challenge. Beautiful sharpness and detail. Great portrait!